Now you can dance to turn your lights on! Hayo pairs with Nest, Sonos, Hue and lots of other smart devices. It scans a room and allows you to make any household item a button and any movement a cue for your connected device to do what it does best. This indiegogo project is right in line with our favorite ‘Hot’ topic, connected homes. As people become more and more familiar with asking Siri for things, telling Alexa what to play — the list goes on and on — our behaviors are modifying. What if the next frontier isn’t speech, it’s movement. This user behavior seems a long way off, but from the video it seems easy to learn. 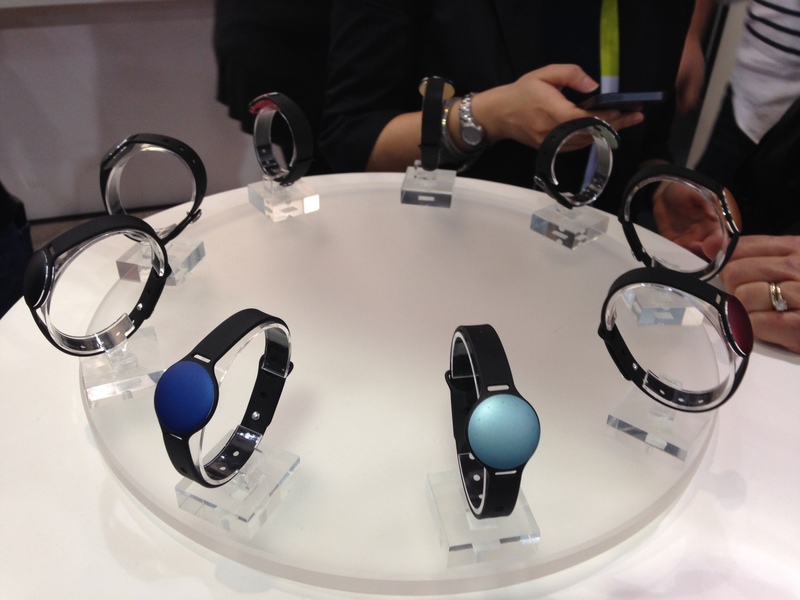 Keep your eyes peeled for the new ways that people will learn to interact with their tech. Over the summer, smart lock maker August announced its first integration with Amazon’s smart home assistant Alexa. It was pretty basic – letting users check whether unit was locked or not. Naturally, people wanted to know, for better or worse, when they’d actually be able to unlock their front door with the sound of their voice, for when you’re chopping onions like the lady in the above press photo. Before adding the unlock feature, we needed to be sure we could maintain our standard for security. Now users have the convenience of using Alexa to unlock their door using their voice and a secure voice PIN from anywhere in the home. The company has added the extra step for obvious security reasons – you likely don’t want passersby unlocking your front door by simply asking nicely. It’s a necessary security addition, perhaps, but one that seems to mitigate the usefulness of the new feature. Like the older Alexa skill, this one requires the lock be networked to either the August WiFi Bridge or the company’s doorbell camera. As a recent loser of my keys, I can appreciate the utility of something like this. What’s interesting is how the intersection of convenience and security will play out — will people be frustrated by extra steps or angry about anything that sacrifices their security? This also a good way to showcase how voice recognition technology will come into our lives in different ways and how the competition of partnerships between Alexa, Google Home, etc. will be fueled. Having an online video chat with a young child can be a frustrating experience. The controls are not particularly intuitive for kids, and they haven’t yet learned how to keep up their end of the conversation, leading to some not-exactly-quality time. To bring far-flung families (particularly grandparents) together, Panasonic is launching a new app, “HomeTeam,” which allows family members (again, particularly grandparents) to share content such as books and games — and video chat — over great distances via Web browser or tablet. “It’s the next best thing to being there in person. Phone calls and ordinary video chats with young children lack the depth and duration needed to build and sustain strong relationships and can leave grandparents or other callers searching for something to talk about”, says Steve Safier, President of Health & Wellness Solutions for Panasonic North America. To develop the app, Panasonic spent time studying how families struggled to create meaningful connections outside of family events and visits. Among other things, the company was able to determine that frequency of communication also increases and it is primarily driven by the grandchildren who clamor for more personal time with their grandparents. With those learnigns in mind, Panasonic developed HomeTeam to encourage sharing meaningful screen time between grandparents and grandchildren. It focuses on depth of communication and not simply frequency or reach. The app includes more than 600 titles of popular children’s books (including series such as “Curious George” and “Martha Speaks”), as well as a variety of age-appropriate multi-player games, to share in real time with video chat capabilities. The trend furniture retailer is at it again! Ikea is launching a new line of high-tech furniture that will be able to charge phones and tablets. 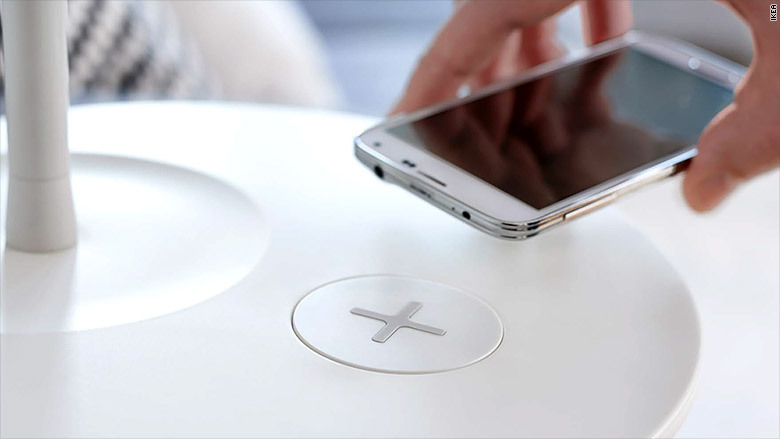 As if that’s not enticing enough, the furniture will charge devices wirelessly. The new line will feature bedside tables and lamps, but it doesn’t seem likely that Ikea will stop there. The retailer that has become so popular with their stylish solutions to organization and decluttering hopes to continue to help people cut down on their clutter – in this case, cable clutter. And don’t worry. For those of you who don’t want to replace your Ikea furniture, but do want your furniture to charge your devices, Ikea is also selling “charging pads” that blend into some of their most popular furniture pieces. Read more about Ikea’s latest furniture innovation on CNN Money. Why It’s Hot | Whenever we discuss “smart home technology,” it’s typically about computers handling utility tasks for us (i.e. turn on the lights, lock the door, turn off the over, moderate the temperature). It’s interesting that furniture chargers didn’t come about earlier with all the innovations in home, but now that they’re here, there’s no doubt they’ll catch on quickly.